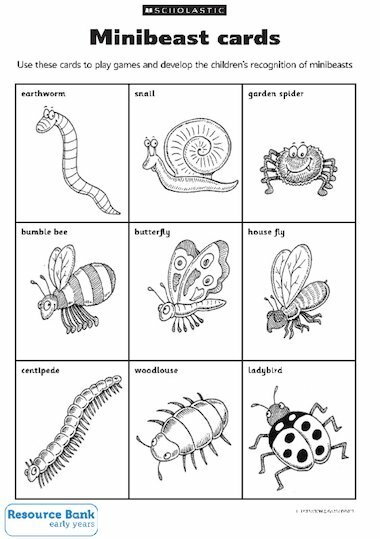 Use these cards to play games and develop the children’s recognition of minibeasts. Minibeasts: Legs and wings… and things! I download this sheet again and again. It’s great – thanks. These are brilliant. The children I look after have played snap and pairs with them. Used them for bug hunts and naming the different bugs.